Another one of our lines of extremely beautiful and handmade items, these are intended to be focal points and pendants for your work. Dichroic glass is special stuff, and has an indefinable glow of the loveliest colours which shine out, but they are one of those things you have to see to fully appreciate. The colours change constantly and photographs just can't capture them in all their glory. 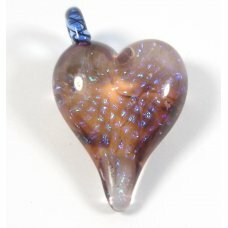 All of our dichroic beads and pendants are fully kiln annealed for strength. Please note, the item may be shown larger than life to enable you to see it to its full beauty - please ensure you check the size to ensure it meets your requirements before purchase. Pair Dichroic Glass Earrings, measuring 13mm diameter with Sterling Silver ear hooks. Dichroic glas..
1 Dichroic Glass Pendant, with exposed rippled copper dichroic effect, meauring approx 21x13mm with ..
1 multi-colour dichroic over ruby core cased dichroic bead - measures approx. 15mm. Dichroic glass ..
1 multi-colour dichroic over black core cased dichroic bead - measures approx. 15mm. Dichroic glass..
Dichroic Flower Tube Bead with silver dichroic over clear glass with blue flowers measures approx. 2..
1 Dichroic Glass Pendant beautiful pendant with a hole about onethird of the way down the pendant me..
1 Large Silver Dichroic on Black Cube Bead; measures approx. 10mm.Dichroic glass is a composite whic..
Dichroic Flower Tube Bead with gold dichroic over clear glass with blue flowers measures approx. 20x..
1 Sterling Silver Dichroic Link Multi stamped 925 on the back two links at the back for stringing me..
1 Orange Pink Clear Dichroic on Clear Barrel Bead measures approx. 14x8mm.Dichroic glass is a compos..
1 Silver Clear Dichroic Tube Bead measures approx. 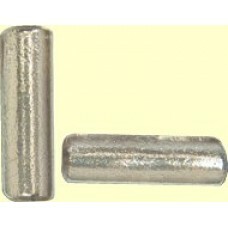 20x6mm. Dichroic glass is a composite which disp..
1 Small Silver Dichroic on Black Cube Bead; measures approx. 7mm.Dichroic glass is a composite which..
11 Pink Lilac Dichroic tube bead on a clear glass base measures approx. 20x6mm. Dichroic glass is a..
1 Handmade Glass Heart with Dichroic Sparkle - American artist-made glass heart pendant; very beauti..
16mm Heart Dichroic Glass Burnt Red Black hole top to bottom through the heart ideal for larger earr..
1 Purple Green Stripe Dichroic Heart Pendant hole top to bottom the heart measures approx. 28x28x8mm..
1 Dichroic and Sterling Silver Pendant - stamped 925 on the back this pendant measures approx. 20 x ..
16mm Heart Dichroic Glass Copper Black hole top to bottom through the heart ideal for larger earring..
1 hot pink dichroic over black cube bead approx. 10mm.Dichroic glass is a composite which displays d..
1 Green Glow Dichroic Diamond Charm Pendant approx 17mm across corners.Dichroic glass is a composite..
1 Dichroic Spiral Donut Topaz; this pendant measures approx. 30x30x3mm.Dichroic glass is a composite..
1 Pink Black Twisty Dichroic Bead on clear glass base measures approx. 20x13mm. Dichroic glass is a..
Rusty Red Dichroic Triangle Charm Pendant. Measures approx 12x24mmDichroic glass is a composite whic..
1 Small Dichroic Square Donut Topaz; these are great for earrings (sold by the each you will need to..
Dichroic Flower Tube Bead with aqua dichroic over clear glass with pink flowers measures approx. 20x..
Ice Dichroic Donut; a beautiful dichroic donut ideal for wirewrapping or adding a bail to and using ..
1 Small Silver Dichroic over Clear Cube Bead; approx. 7mm.Dichroic glass is a composite which displa..
Dichroic Flower Tube Bead with silver dichroic over clear glass with pink flowers measures approx. 2..
1 Topaz Rainbow Round Dichroic Bead measures approx. 13x10mm.Dichroic glass is a composite which dis..
1 Orange Pink Black Dichroic on Clear Barrel Bead measures approx. 14x8mm. Dichroic glass is a comp..
1 Small Rust Dichroic on Black Cube Bead; measures approx. 7mm.Dichroic glass is a composite which d..
1 Green Clear Dichroic Tube Bead measures approx. 20x6mm. 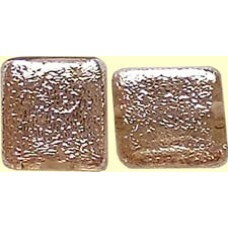 Dichroic glass is a composite which displ..
1 Large Silver Dichroic over Clear Cube Bead; approx. 10mm. 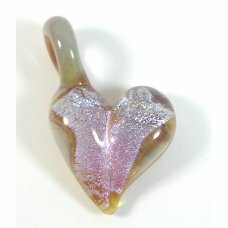 Dichroic glass is a composite which dis..
1 Peach Fizz Dichroic Bead measures approx. 1214mm; a white dichroic base overlaid with peachy swirl..
1 Large Purple over Clear Dichroic Cube Bead; approx. 10mm.Dichroic glass is a composite which displ..
16mm Heart Dichroic Glass Burnt Orange Black hole top to bottom through the heart ideal for larger e..
1 Rainbow Mosaic Dichroic Heart Pendant on a black glass base hole top to bottom the heart measures ..
1 Small Dichroic Spiral Donut Topaz; these are great for earrings (sold by the each you will need to..
1 Orange Clear Round Dichroic Bead measures approx. 13mm.Dichroic glass is a composite which display..
Rust Red Dichroic Diamond Charm Pendant approx 17mm across corners.Note the remaining 2 are not a go..
1 Dichroic Spiral Donut Greens; this pendant measures approx. 30x30x3mm.Dichroic glass is a composit..
Dichroic Flower Tube Bead with gold dichroic over clear glass with pink flowers measures approx. 20x..